Claudia M. Cerrone, 93, of Topeka, passed away on Monday, April 1, 2019 at Brewster Place. 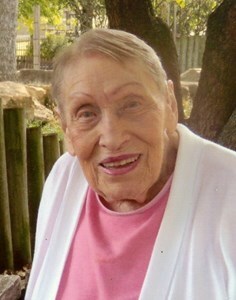 She was born March 15, 1926 in Topeka, the daughter of Claude V. and Blanche B. (Krieg) Duvall. Claudia graduated from Highland Park High School and earned a BS Degree in Music from Washburn University. She had resided in Topeka her entire life. She was a self-employed piano instructor. Claudia was a member of the Washburn Alumni Association, a lifetime member of the Sigma Alpha Theta Sorority and the Topeka Music Teachers Association for over 50 years. Claudia married John F. Cerrone on June 1, 1947 in Topeka. He preceded her in death on December 18, 1964. Services will be held at 11:00 a.m. Monday, April 8, 2019 at Dove Southeast Chapel, 2843 SE Minnesota Ave. where a visitation will be held one hour prior to service time. Burial will follow in Mount Hope Cemetery. In lieu of flowers, memorial contributions may be given to the Helping Hands Humane Society, 5720 S.W. 21st St., Topeka, Kansas 66614. To leave a special message, please select the Share Memories option listed above. Add your memories to the guest book of Claudia Cerrone. I will never forget Mrs. Cerrone. I took piano lessons from her from 1965-1968. I always looked so forward to riding my bike to her house on Michigan Ave. for a lesson. I lived in Highland Park & attended Highland Park Schools. I had a swing in my backyard. I spent hours swinging & singing to myself. My Mom decided I should take piano lessons from Mrs Cerrone. I was never a good Pianist but I learned to read music, sang in Church, Girls Glee & Robed Choir in School. I have her to thank for teaching me to Love music. I used my love of music & was a Radio DJ playing Country music for 41 years at KTPK Radio. Ms. Cerrone was highly regarded in my family. She taught my aunt, Leanna Harvey-Roudybush, my mother, Loretta Harvey-Spencer and myself, Becky Lloyd-Hegler. Ms. Claudia was more than just a piano teacher to many students, she was a mentor and life coach to us as well. What a blessing she has been to the music community of Topeka. She will be greatly missed. May her family find peace in the Lords arms through this time.